Well it seems as if winter has finally decided to arrive! It’s been cold and rainy here this weekend and later this week we’re supposed to get into the teens with our first snow and 15mph winds. As fun as all that should be its times like these that I really appreciate having an indoor garden. Lets take a tour around and see how things are coming along! The two Tower Gardens are doing really well. I posted in October about getting a second Tower Garden, mainly so I could grow my own salad mixes for lunch. Well I started these seeds September 25, I harvested my first lunch worth’s of salad October 24 and I have been eating a salad for lunch every day since! Seriously I planted 12 salad type plants and each morning I cut off 2-3 leaves per spot which fills a nice size container of salad and that’s my lunch! 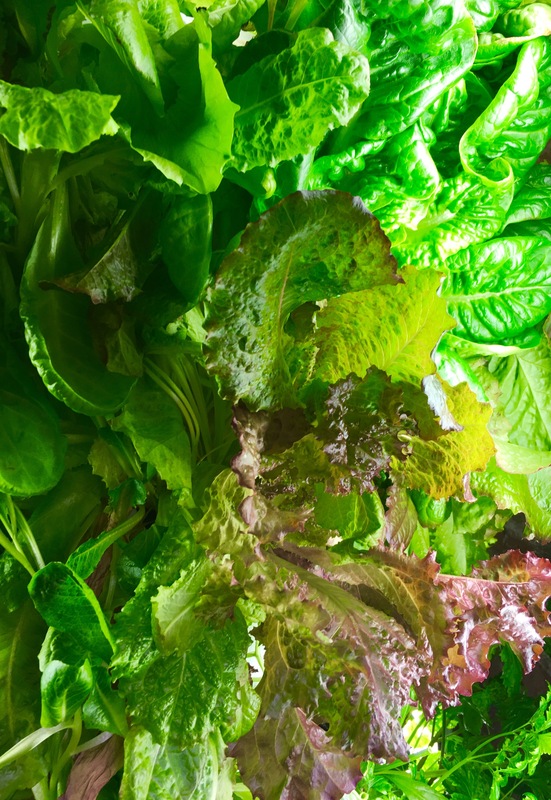 Its been delicious, a lot more nutritious, and most importantly no more money wasted on salad bags that are already bad before you even open them! Six weeks of salad for lunch and still going very strong! In fact I think I need start eating more and get some more seeds ready to go. Marigolds for salad and helps deter pests! 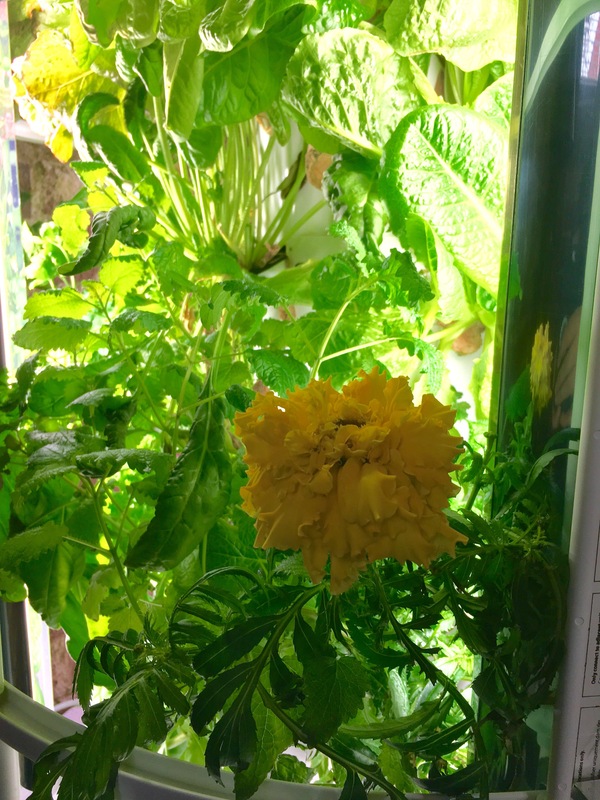 In each tower I have a marigold plant growing. Mainly because it is a natural pest deterrent, and while I don’t have a ton of problems inside I did have a go with aphids earlier this summer so I though this would be prudent. However, now that its winter and they’re blooming I’m loving the bright and cheerful colors. Also, the blooms go well in a salad! Crackerjack Marigold from Baker Creek. 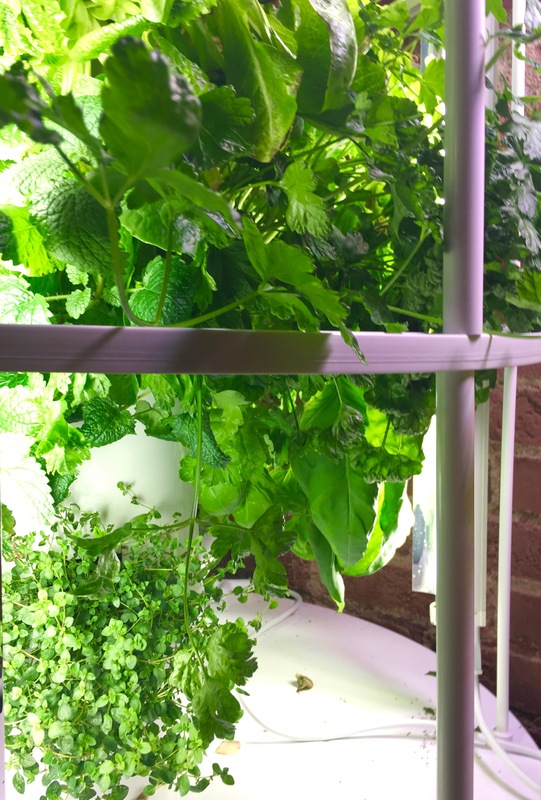 Italian parsley, thyme, lemon balm, and some basil in the back looking good! I love putting a leaf or two of lemon balm in my tea. Its good for digestion and general stomach trouble, as well as being relaxing. I just take off a leaf or two and throw it in. Once it’s completely water logged it’ll sink to the bottom so you don’t have to worry about trying to drink or strain it. The thyme, oregano, and parsley we use in cooking. Fresh is so much more flavorful than what you can buy at the store, a little goes a long way. 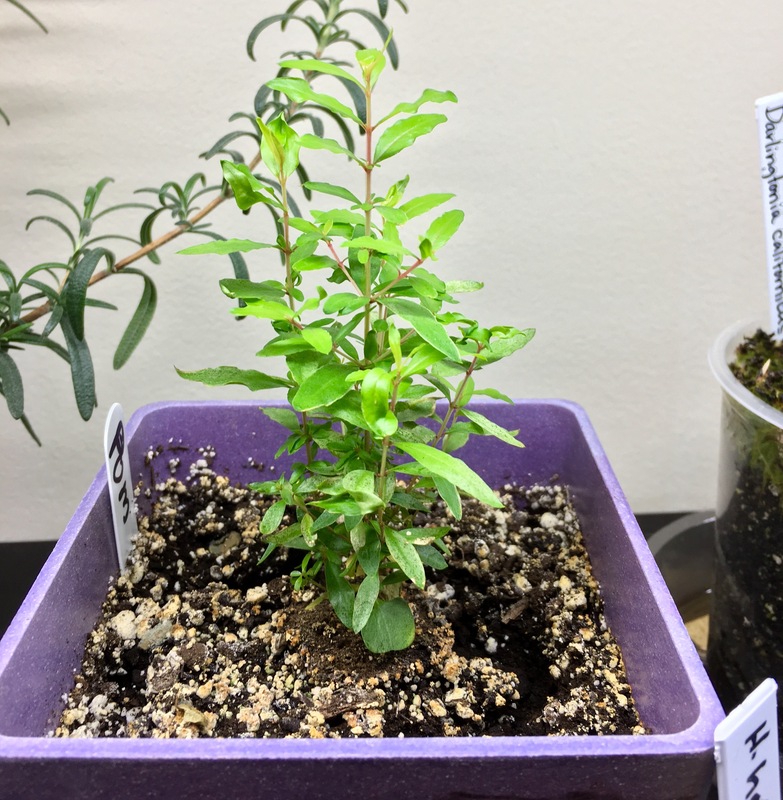 This is a dwarf pomegranate that I started from seed in August. Looks like he’s still doing well but it’ll be a few years before I get fruit! Which is ok, it’s just a fun experiment. 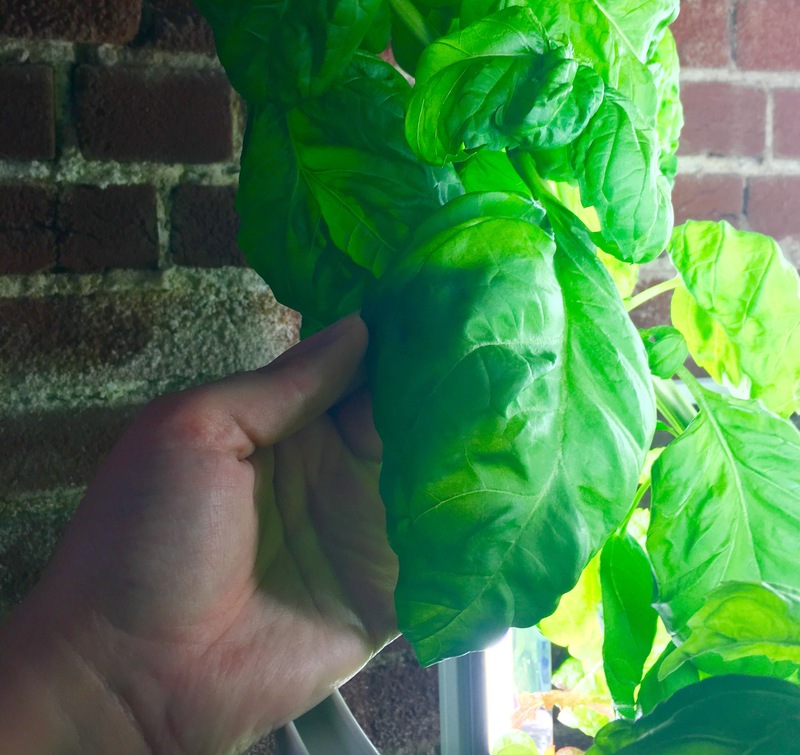 Some large leaf basil I have growing. Hand for scale, they aren’t joking around! Those are some large basil leaves and it smells divine! This variety is from Seed Geeks. 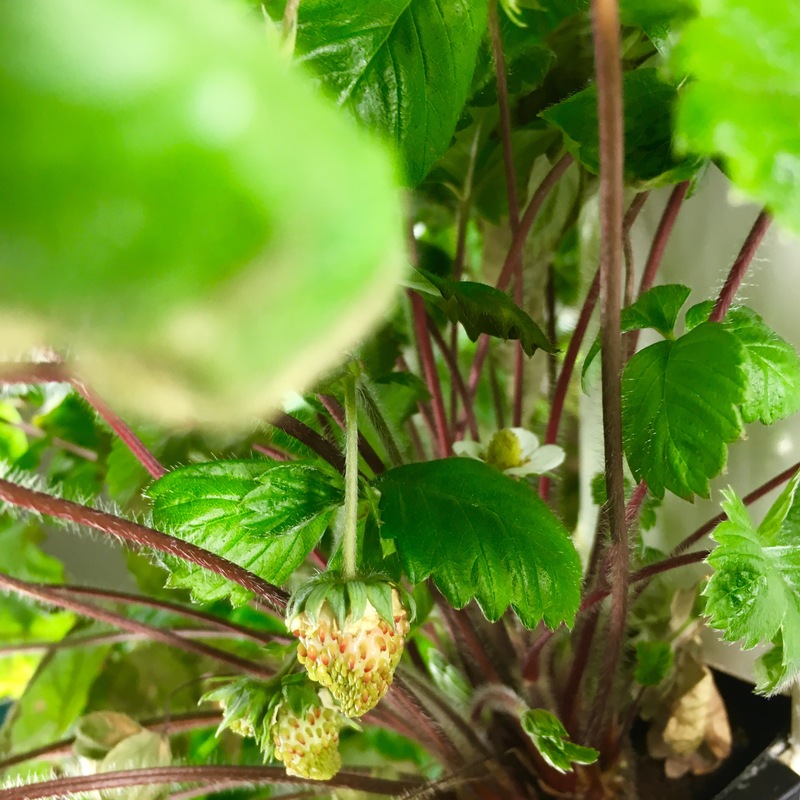 Some yummy Baron Solemacher strawberries growing in the TG. Started these August 21. Can’t wait! 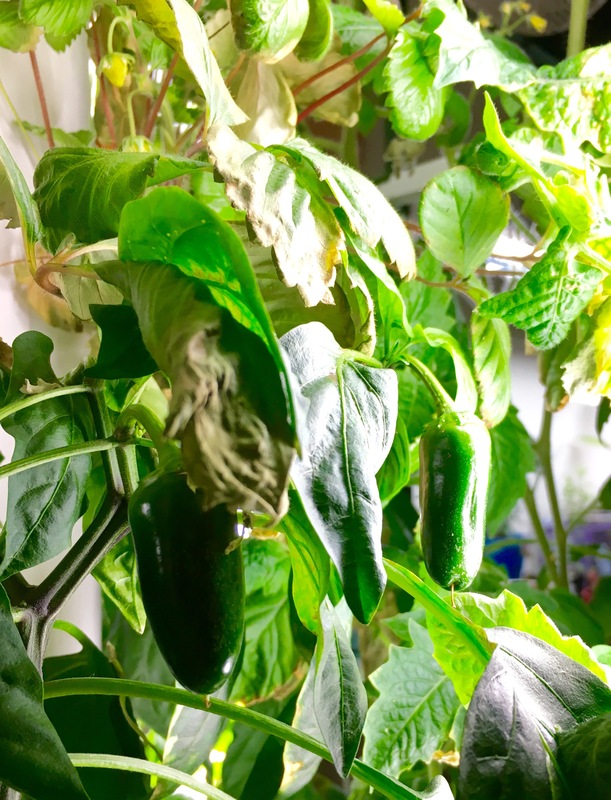 Juicy Jalapeños growing. I’m gonna need y’all to hurry up so I can eat you! Yellow Wonder strawberries growing in the background. 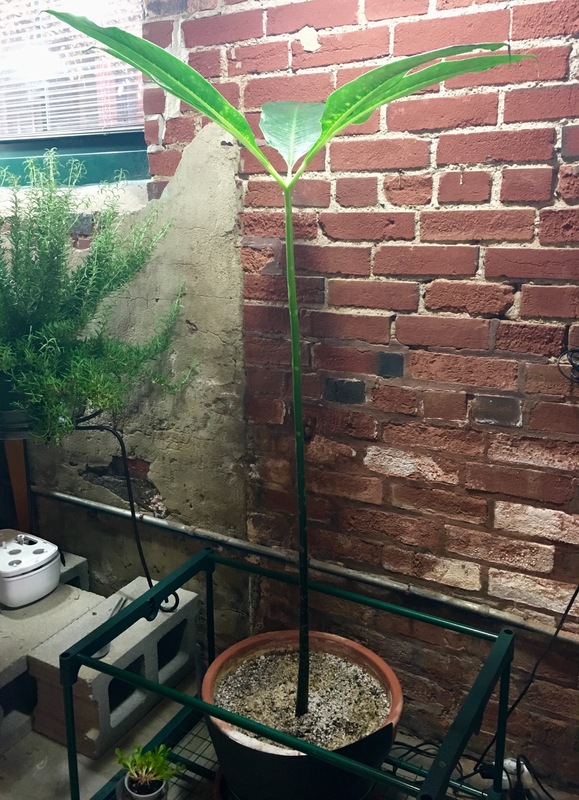 This blog started based on the adventures of Denali, my Titan Arum or Corpse Flower. 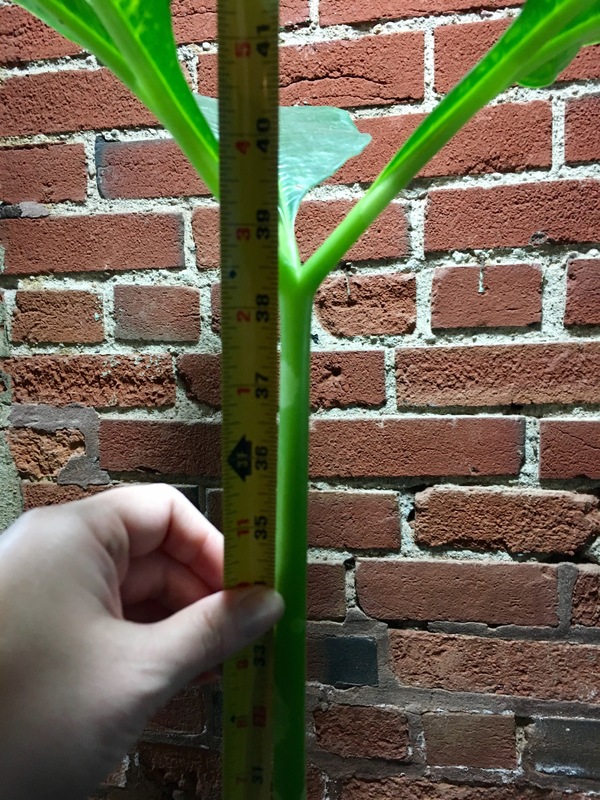 I’ve now had it for over a year, this is it’s third leaf that is now over 3′ tall. It has yet to go into dormancy so we’ll see if it decides to do that this winter or if it’s just going to keep going! This winter I’m experimenting with growing garlic indoors. I have no idea how it’s going to turn out but I planted six cloves on October 15. So far five of the six have now sprouted although at different times. You can see two are really big and some have just sprouted. We’ll see! Those who regularly follow my blog know I’m a fan of pesto and that basil is something I always have growing. Well I started several plants at the same time and it was past time to use them. Since winter now seems to be officially here this means I am running amok trying to ward off the usual colds, flus, and for me most importantly sinus infections. If you look at my nose the wrong way I start getting a sinus infection and since I’m in the midwest any time we have any kind of pressure change or storm come through I feel it hard. Without any prevention or intervention my sinuses will fill up and stay that way. Ain’t no one got time for that! So I decided to try something out of one my herbal books, Medicinal Herbs by Rosemary Gladstar. If you’ve never heard of her just know she is a very well know American herbalist and teacher. She talks about something called medicinal pesto. 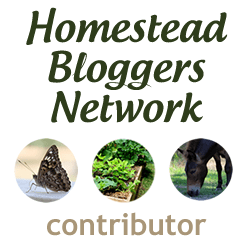 What’s the difference between medicinal and regular basil pesto? Not much except more thought on the ingredients and amount used. Pesto just means an herb paste so really you can find all sorts of pesto recipes, beyond the common basil one. However, basil actually has quite a few medicinal properties including treating nausea, stomach cramps, nervous systems, fatigue, anxiety, and depression. Perfect for a winter food! Combine that with other commonly medicinal herbs and you have a power packed meal that can give the immune system a much needed boost. Since I had quite a bit of basil to work through I made up multiple servings of medicinal pesto and froze them in vacuum seal bags, ready to be used whenever! Feel free to experiment with herbs that you have around or would like to target specific things, below is what I ended up using, all from my own garden! Whip it all up in a blender and either serve fresh or freeze for later use. This makes a delicious and power packed meal, perfect for the winter when your system could use a boost. All vacuum sealed and ready for freezing. That’s about it for around here. If you have any good recipes or ideas for boosting your immune system or resisting a sinus infection please post in the comments! I’m up for anything! Stay warm!